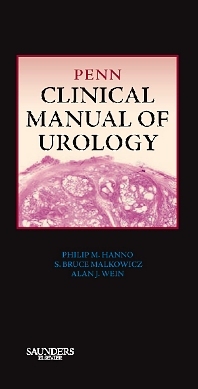 Introducing the Penn Clinical Manual of Urology. This one-volume reference presents the key clinical information you need to diagnose and treat urologic disorders quickly and effectively. Brief, well-illustrated chapters combine an easy-to-read format with the comprehensive coverage you demand. This is a unique offering that deserves a place on every urologist's shelf. Find information quickly and easily with clearly presented algorithms, tables, and figures—an excellent resource for clinical questions and answers. Get the true high-quality information you expect in an easy access, quick reference format. Brush up or prepare for board review using the self-assessment questions at the end of each chapter.